Ok, so I was going through some of my old pictures (teenage years) and thought OMG I made so many make-up mistakes! That is when I realized there are so many ladies still making the same mistakes and I cannot let my ladies go out looking like I did! But without error how can be grow!? Right? 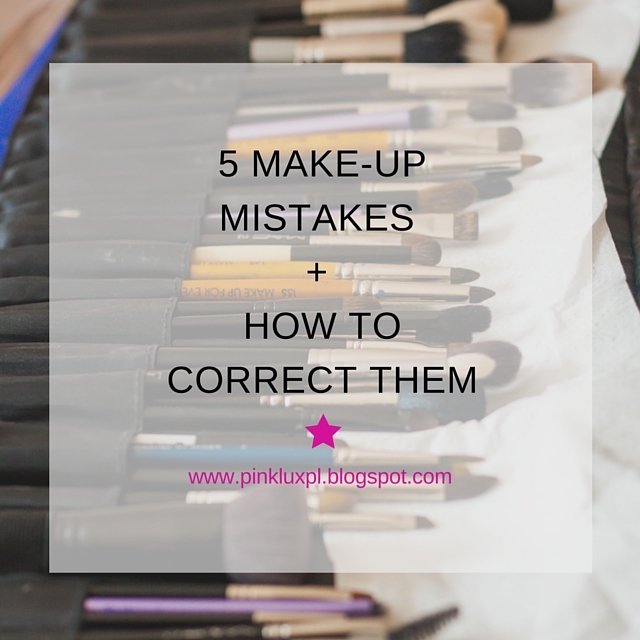 So below I am going to share 5 Make-Up Mistakes + How to Correct Them. 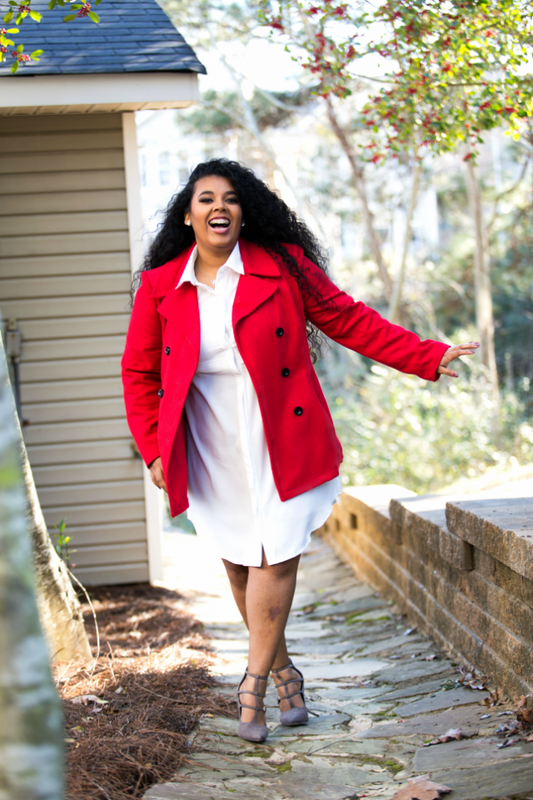 No worries these are quick fixes that will help you look your best, I promise! Make-up Mistake: Wearing blush is a great product to add to the face so you don't appear washed out. However, it can also be nightmare and make you look like a clown if it is worn too heavy! The rule of thumb is if you are wearing bold eyeshadow or a bold lip wear a neutral blush color. Correct Way: Apply blush to the side of the face or apples of your cheeks using circular motions. Also, apply lightly in the beginning then build to desired color. This will prevent you from applying too much product at once. Make-up Mistake: We all want those long beautiful lashes that look like false lashes, however that can be a hard look to achieve if mascara is not applied. The mistake I made was I applied too much mascara- like 4-5 coats. My lashes always ended up looking like little spider legs that criss crossed- NOT a good look. Correct Way: While applying mascara allow each coat to dry for 5-10 second before applying the next coat. Make sure to apply mascara on top and underneath the top lashes to separate evenly. Make-up Mistake: When first learning about foundation I had NOOO clue what undertone to look for in the store. There are cool, neutral, and warm tones but in my mind this registered as x+y/ 3y x 6! Exactly, to complicated to answer in less than 3 minutes. But once I figured it out I learned some great ways to get around finding the correct tone. Make-Up Mistake: It is around 12 o'clock in the afternoon you look in the mirror and see your eyeliner looks like you have been crying. This is caused by the natural tears we create throughout the day or sweat. No worries there is a quick fix to have you looking flawless all day gorgeous! Correct Way: Apply color desired liner to the water line or lower lash line. Using the same or similar shade of eyeshadow SET your eyeliner using a q-tip or eyeshadow brush. This will prevent it from running throughout the day. Make-Up Mistake: Wing eyeliner is very popular but creating an equal line on both eyes can be a challenge especially when you are rushing. Wing eyeliner is great to use to make your eyes appear bigger. If applied incorrectly wing liner can make your eyes appear lazy or smaller. For my beginners I advise you to use liquid liner, it applies quicker and easier than cream or clay formula liners. Correct Way: Use a small strip of tape, the side of a credit card, or a piece of paper to draw the wing of your liner. This will ensure the lines are straight and equal on both eyes. Ok, ladies please don't tell me I was the only one making mistakes! If you have any questions or concerns about your makeup don't miss the live course Mastering Makeup with PinkLux this Sunday October 18th @ Vestavia Hills Public Library. More information HERE.